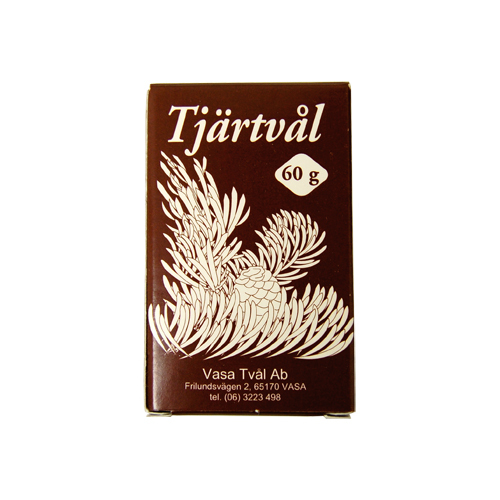 More about Finnish Tar Soap Turn your shower into a woodsy retreat with the warm, rich smell of Tjärtval Tar Soap. A deep, chocolate brown in color, this bar of handmade soap is derived from pine tar. A nostalgic Finnish scent, the tar is extracted from the trunks of pine trees to provide a refreshing scent with a unique, smoldering fire fragrance. In addition to its enlivening smell, pine tar also is known to have holistic benefits such as reducing inflammation, healing and intense moisturizing capabilities. My husband had himself a sauna built as he is half Finn and he loves the soap! ProsClean smell, no sticky residue and long lasting in sauna heat! This little bar is great at multi-tasking. It feels good on the skin for hand and face, it adds aromatherapy to a shower, and it is excellent as a shampoo, leaves the hair full and manageable. When you first open the box the fragrance is a bit overwhelming, but after it is out for a day on the counter it is not strong. I personally really like the woodsy smell. A wonderful evocative smell from my childhood saunas in Northern Minnesota! Does this product ingredients include (non sustainable) Palm Oil? IS this soap made in Finland? 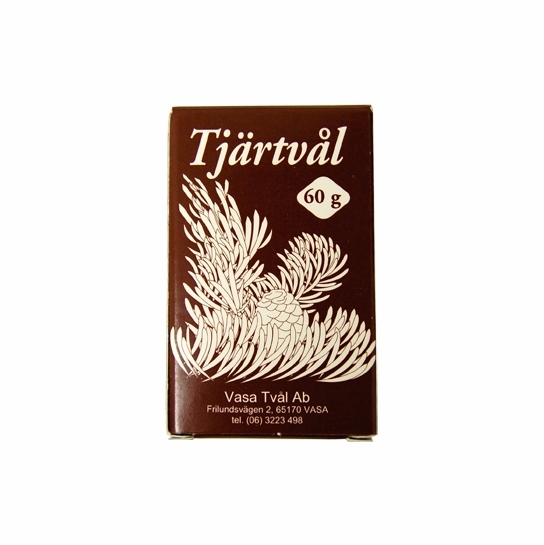 Yes the tar soaps as well as the other soaps we carry are hand made in Finland.